Jammu and Kashmir Chief Minister Mehbooba Mufti is all set to induct her younger brother Tasaduq Mufti into the Cabinet and make him the tourism minister. Decks for the move were cleared during a meeting of the People's Democratic Party's Political Affairs Committee. Tasaduq will be nominated to the Legislative Council before his likely elevation as minister. The CM has already nominated her uncle Sartaj Madni as the party vice president. And Mehbooba herself was elected as the president for the sixth consecutive term. Another relative of Mehbooba's – Farooq Ahmad Andrabi – is a minister of state in the government. And her cousin Sajad Mufti is the PDP coordinator for South Kashmir, the party’s political bastion. Tasaduq’s joining politics has been the most conspicuous political development in the state over the past two years. He quit his earlier calling (he was a cinematographer) and joined the PDP at a grand public rally organised on 7 January to observe the first death anniversary of the former Chief Minister Mufti Mohammad Sayeed, his father. Thereafter, he was made the chief of the CM's grievance redressal cell. But he soon rose to become a powerful presence in the government, driving policy on environment and tourism. In fact, earlier this year, he was the brain behind the five-minute tourism promotional video – ‘Warmest Place on Earth’. It highlighted the hospitality of Kashmiris to counter the negative portrayal of the state in sections of the national media. However, Tasaduq’s growing influence in the party ran counter to his lack of constitutional standing in the government. So, at the PDP’s recent political affairs committee’s meeting, senior party leader Dilawar Mir made a strong pitch for giving a constitutional position to Tasaduq by nominating him to the Legislative Council. This was readily agreed to by a predominant majority of the party leadership. 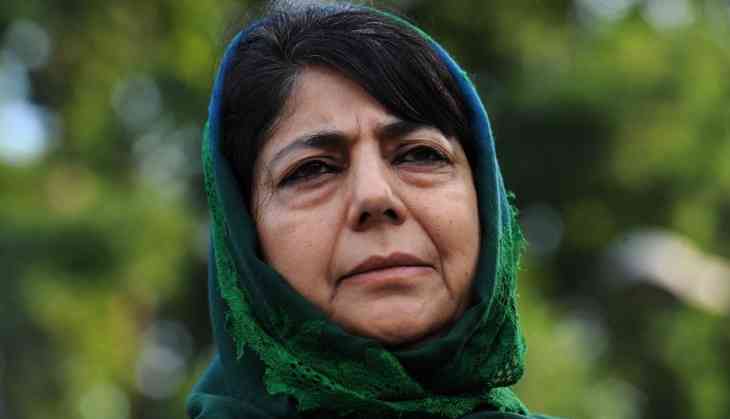 Mehbooba’s decision to elevate her immediate family members to senior ranks in the party and the government is seen as part of her bid to secure control of the party following the death of her father in January last year. The move is expected to further marginalise the party’s old guard, some of whom, like Muzaffar Hussain Beigh, have progressively moved into shadows. Another member Tariq Hameed Karra resigned in the wake of the unrest last year in protest against the human rights excesses. In the initial days of the coalition with Mufti Sayeed as the CM, the two leaders had emerged as the bitter critics of the government, with contradictory motivations: Beigh spoke against the poor performance of the government but Karra railed against the BJP and sought the immediate end to the coalition with the ideologically divergent party. In the three months after the death of her father, Mehbooba had refused to form the government with the BJP unless New Delhi fulfilled some of the agreed upon points in the Agenda of Alliance. This severely tested the unity of her party with a section of the leaders said to have been on the verge of breaking away from the party to form the government with the BJP. This was revealed by Karra, then still in the PDP. “Some leaders wanted to split the PDP and make a government without Mehbooba Mufti,” Karra had told Catch at the time. He accused his colleague and the current education minister Altaf Bukhari of being a part of the conspiracy. “Bukhari thought beyond his political size. He started acting larger than the life. There were PDP members behind him. He was about to take over as the Chief Minister,” he also said. But once in power Mehbooba has steadily moved to strengthen her hold over the party. And one of the strategies has been to place her kin in key posts. Kashmiri political parties have traditionally been riven with intrigue. In 1953 after the then J&K Prime Minister Sheikh Mohammad Abdullah’s summary dismissal by the then Sadr-e-Riyasat (president) Karan Singh, it was his second-in-command Bakshi Ghulam Mohammad who assumed power. And in 1984, after the Governor Jagmohan removed the then Chief Minister Farooq Abdullah from office, it was his brother-in-law Ghulam Mohammad Shah who took over. And if there is any truth in the reports of conspiracy against her by some of the senior leaders of her party after her father’s demise, Mehbooba has reason to be insecure. But will this insecurity feed the backlash in her party, only time will tell. One thing, however, is for sure – Mehbooba, despite her battered political image, remains the only mass leader in the party. And this will make any potential challenge to her leadership hardly worth the effort.